A team of three UND-affiliated volunteers felt natural sunlight for the first time in 14 days as they emerged from scientific seclusion on “Mars” back to good ol’ planet Earth. The crew part, part of the University of North Dakota’s Inflatable Lunar Mars Habitat (ILMH) exited their temporary home for two weeks following a fifth NASA-funded mission that mimics a long-duration stay on the planet Mars. 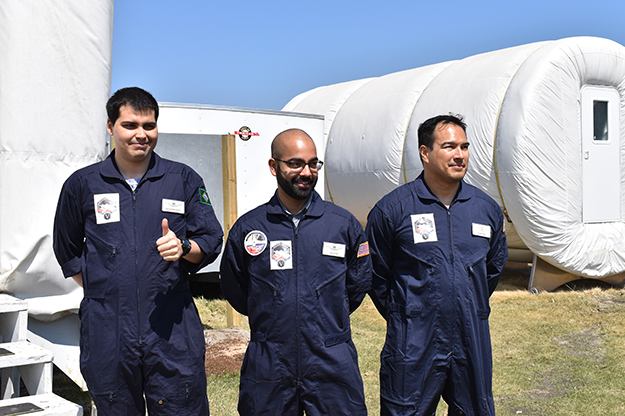 Crew members comprised mission commander Prabhu Victor, a UND alum and current Space Studies graduate student; Nelio Nascimento, an undergraduate in biomedical engineering at UND and an international student from Brazil; and Dr. Michael Castro, a physician from Florida who volunteered to be the mission’s medical officer. “This habitat is the only system of its kind in the nation on a college campus,” said Pablo de León, an aerospace engineer and faculty member in Space Studies. He’s also director of the UND Human Spaceflight Laboratory. De Leon noted that the project is funded by the North Dakota-NASA EPSCoR grant. The ILMH project attracts students from around the world to join in the prestigious scientific effort. 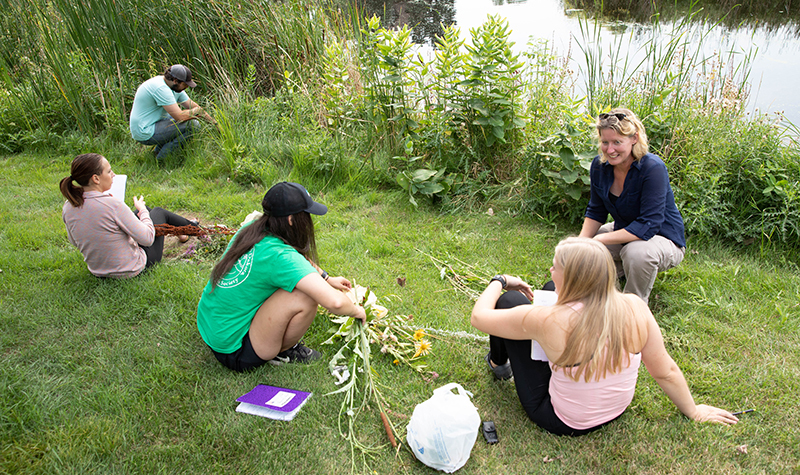 Students are largely responsible for constructing, assembling and maintaining the ILMH. Other aspects of the most recent mission included growing and harvesting food such as lettuces. This mission concluded May 14. The ILMH complex was set up on several acres of grass land across I-29 from the University. The heavy-duty fabricating and welding of all aluminum infrastructure was done locally by Grand Forks Welding, which delivered the final plastic-sheeting wrapped unit to the ILMH last June. The core of this five-unit project is the living module, where crew will spent a good portion of their time. The EVA and maintenance module is the workshop where the crew will performed both routine and emergency repairs and maintenance on suits, modules, rovers and other equipment. The plant-production module was designed to feed the crew—of course, this means plant-based diets. No room for meat animals. This module housed trays of plants under LED lights specially designed by NASA. The exercise and human performance module had special exercise machines with systems that fed information to NASA; the agency conducted real-time monitoring of the health status of persons in the module. And finally, the geology module was reserved for experiments and developing techniques for cutting Martian rocks that may contain contaminants, such as toxic perchlorates, which should not be inhaled. The particulates could be released as the rocks are gathered and cut, so the crew processed samples in a glove box. 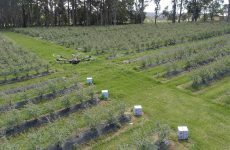 All the modules are connected with aluminum-framed tunnels, already built and ready to be hooked up at the site. 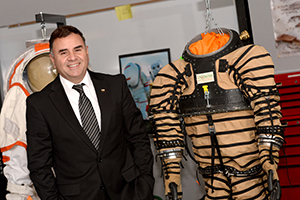 UND is one of a few facilities funded by NASA to test long-duration Mars conditions, said de León. 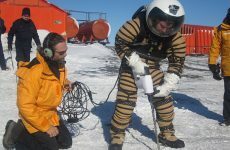 “We have the talent pool, the facilities, the environment and climate that provide an optimum place to test the extreme technologies needed for such a hostile place as Mars,” de León noted.